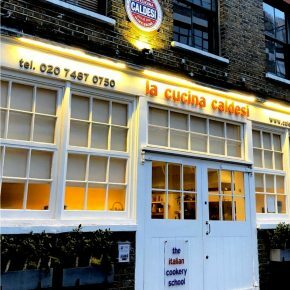 For a gift they’ll never forget, treat someone special to an cookery & dining event with Filippo Berio at the famous Italian cookery school, La Cucina Caldesi in Marylebone, London. Material gifts may come and go, but in the end, it’s always the thought that counts. 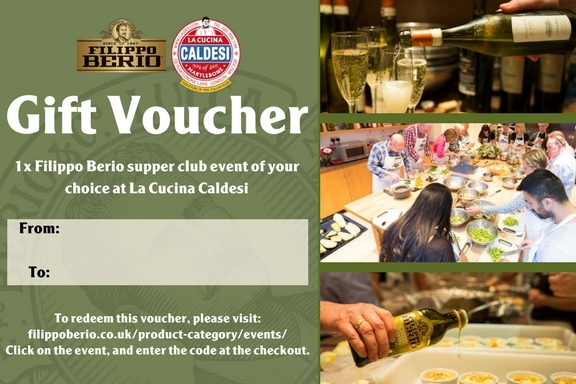 This voucher is worth £75 and can be used for any of our classes in 2019, valid until 07/12/19. Upon purchase, you will be sent a unique code that you can use yourself, or send to a friend or family member! You can then choose an event on our events page, and simply enter your unique code at the checkout.